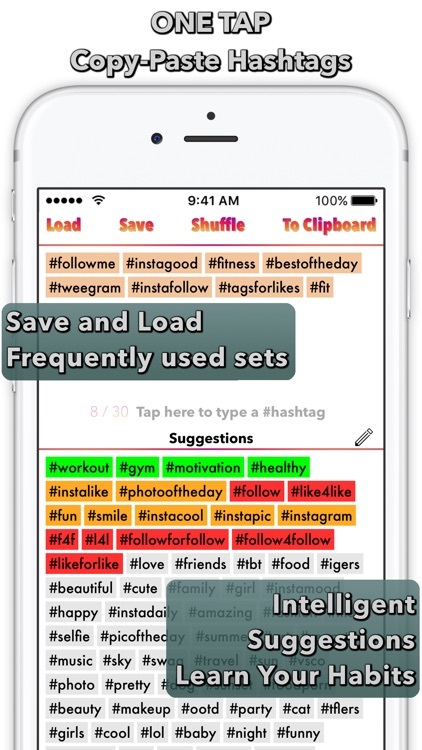 - Load hashtags easily by pasting from the clipboard to the app. 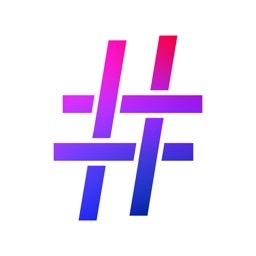 - Exclusive Instagram tips to get more followers. 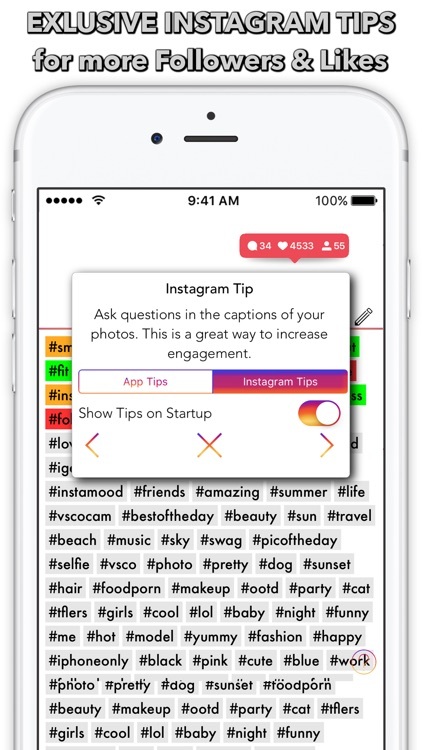 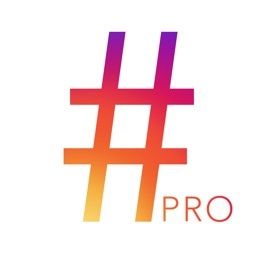 - Save your hashtags into lists, and copy them effortlessly into Instagram. 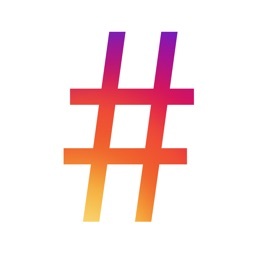 - Combine lists e.g. 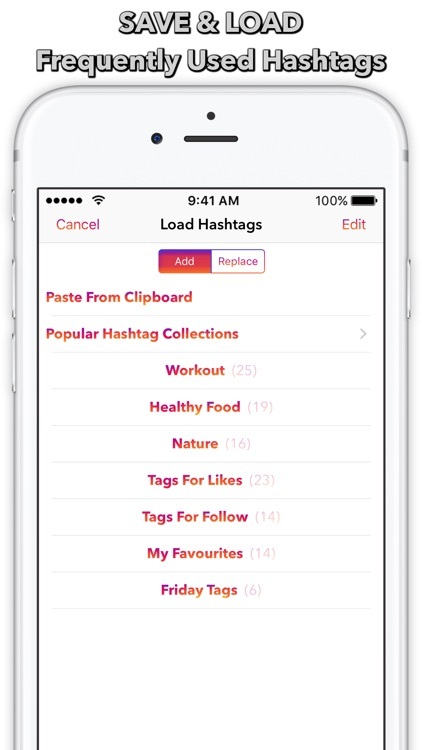 combine your "beach" and "breakfast" hashtag collections for a breakfast on the beach. 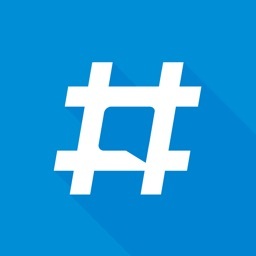 - Load the top 100 popular hashtags, and start collecting likes and followers. 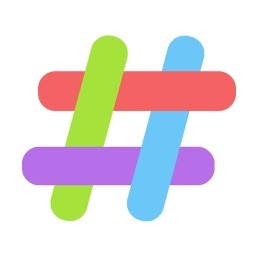 - Highlight hashtags with colors.